Harbin Ice Snow Festival 2016, China Winter Travel & Ski Tours. 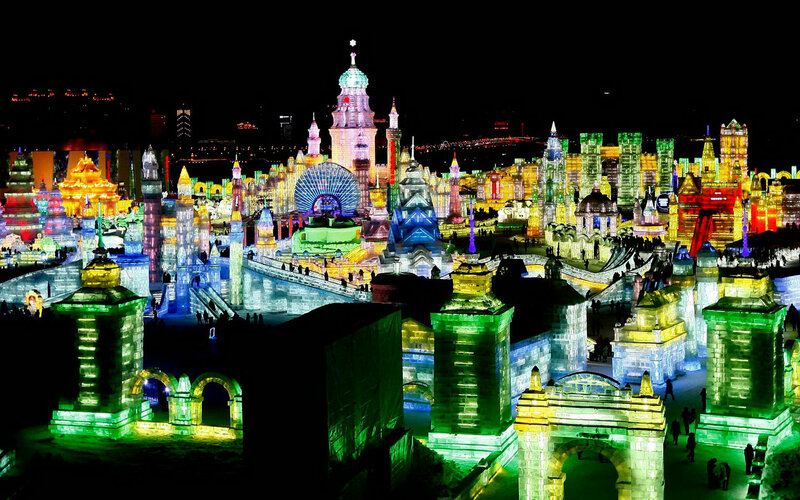 The 32nd Harbin International Ice and Snow Sculpture Festival opens with a theme “Happy Ice Snow, Exciting City” on January 5 in 2016. The festival is featured by grand opening ceremony, fireworks display and a series of theatrical performances, ice snow activities in Sun Island, Ice and Snow Amusement World, Zhaolin Park and more venues around ice city Harbin. More information below will follow the festival to update in time.